Houses & Homes VA: How Saving $5 a Day Can Change Your Life! How Saving $5 a Day Can Change Your Life! Sounds silly doesn’t it? After all, how could $5 possibly make a difference considering the cost of living today? Well, if you saved $5 a day in only 1 year you would have $1,825 dollars. With that amount of money you could do a lot of things such as taking a great weekend vacation, making a down payment on a new car or buying that really cool laptop that you’ve been checking out at the mall! Better still you could pay for a college class or keep the money in savings in case of an emergency. Still none of these things are likely to change your life, right? Then again, what if you invested wisely instead? $1,825 bucks doesn’t sound like much of an investment but consider this: If you placed the entire amount in a savings account that yielded only a 4% return and just let it sit there for 35 years you would have $147,000 to invest at that time! Time is the secret to investing and makes a much bigger difference than the amount of money that you actually start with. 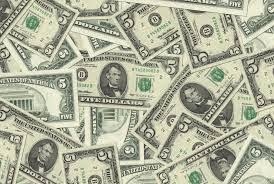 Only $5 dollars a day for 1 year reaps big rewards over time! As you can see it is possible to change your financial future with very little effort. If you’re 30 years old now $147,000 would be a nice retirement bonus and could pay for a great vacation, an awesome new car or help the grandkids through college. Regardless of how little money you have to save, it is important that you save something. We all work hard for our money but it is only when our money works for us that we can see results. Considering the time of year, this would make a great New Year’s resolution! Another thought is to open an account for our children or grandchildren. What better gift can we give them than a financially secure future?